Taking notes in college is a necessity. 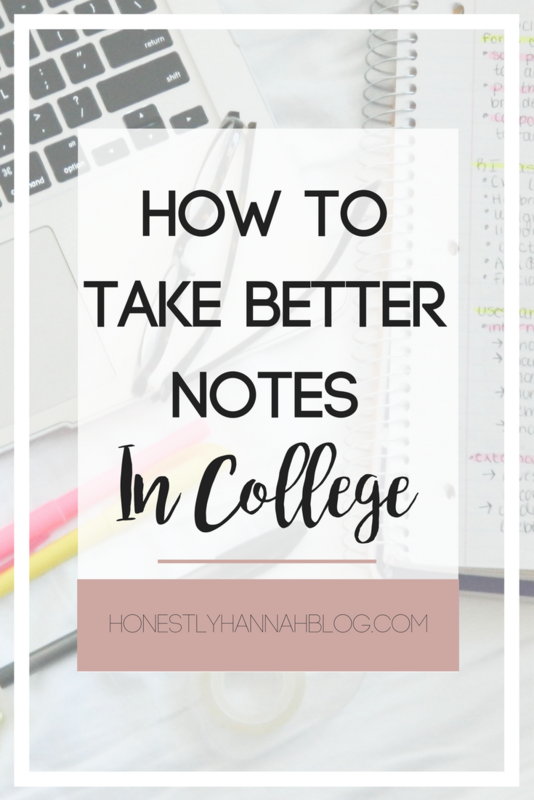 In fact, you practically NEED your notes to succeed in college. I did a poll on Instagram stories to find out what type of post you guys wanted to see for today, and note taking tips took the cake! 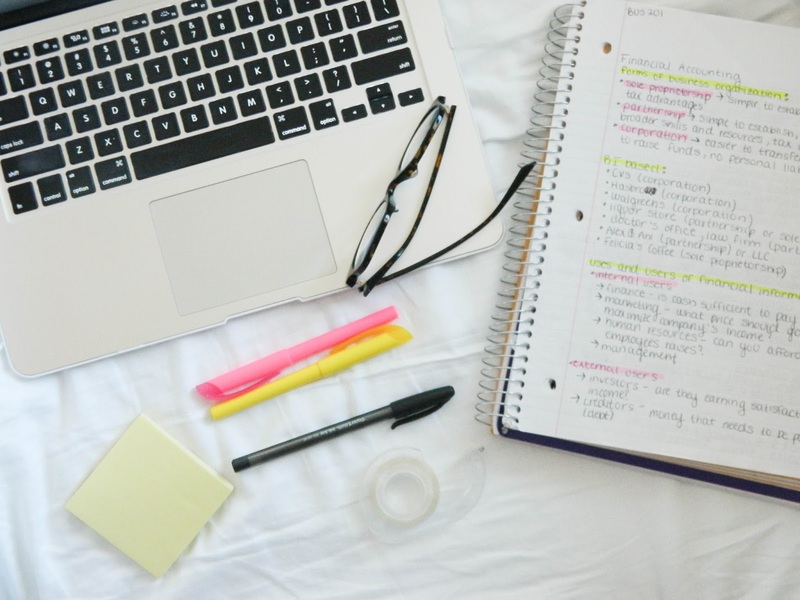 I'm sharing these tips to hopefully help you improve your own note taking skills, because it's definitely an important thing to work on! It's important to think about how you want to take your notes for each particular class. Personally, I like to hand write my notes if I can. It's just a personal preference that I have, but if I have a class where the professor moves through material really quickly, I usually resort to typing out my notes. I always buy a 5 subject notebook at the beginning of the semester since I typically take 5 classes per semester. This way, I have a section for each class if it just so happens that I handwrite my notes for every class. When I used to take my notes a few years ago in high school, I would typically just scribble them down however the teacher put them down on the board/on the slides. This created some major chaos in my notebook, but it didn't really matter as much in high school. When I got to college, I realized that this did NOT work. Since I was basically relying on my class notes for studying purposes, they needed to be neat and in some sort of pattern. My favorite way to take notes is through the topic-subtopic method (I don't know what would happen if you Google this -- I just made it up..). Basically, it's super simple. All the way to the left side of the page, I write the major topic. Say it's "Communication theories." For each theory, I would indent and bullet with a definition next to it. There's usually more information included in each subtopic, so I simply use an arrow, indent again, and add more information. Okay, you might not think that making your notes pretty is going to help you, but I swear it does! I rely on multicolored pens and highlighters to get the job done. I assign certain colors to headings, subheadings, and important terms. I also go wild with pens and highlighters in my planner -- check that out here. Charts and diagrams can be super helpful, depending on the class. I'm a very visual person, and I know a lot of other people are as well. 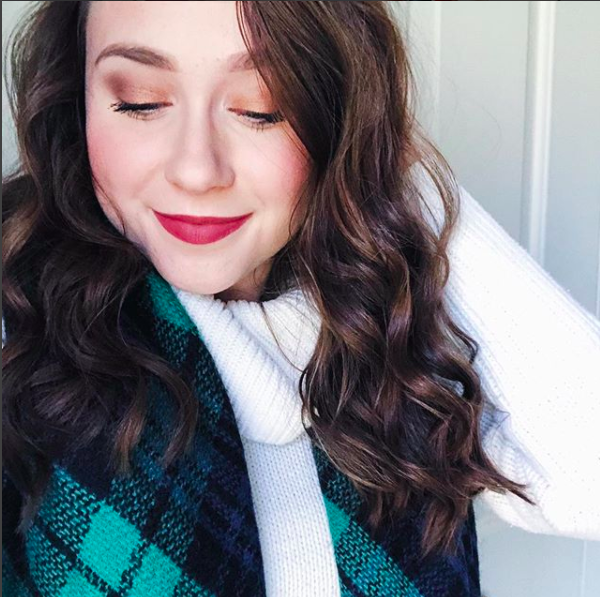 Charts help me visualize the materials, and usually when I'm taking an exam, if I've created a chart, I can literally visualize that chart in my head and remember the material. I don't think this applies to every class, but if the professor shows you a chart, write that down. Some concepts are demonstrated more clearly in diagram/chart form. What's nice about tons of college professors is that they post the slides online or email them after class. So, there's really no point in trying to scramble everything on the slides quickly into your notes. Instead, try focusing on what exactly the professor is saying. What are they saying that isn't on the slides? Typically (if they're a good professor), they won't just stand there and read off the slides. What are your best note taking tips? Well this is something which is going to help me since I am not that good at taking notes in college haha. Anyways, you are doing a great job with this blog by helping students through such posts. School uniform fabric is cannot be fancy, flamboyant and slippery, but it has to be simple yet elegant. With the change in seasons class of 2019 shirts.